Jan. 1, 2011 brought quite a few changes to primary care. Some are good. Others that should be good are overly complex (if you have looked at the Medicare annual wellness visit requirements(www.nxtbook.com), you know what I mean) or lack acceptance among payers, which is the problem with the new pediatric vaccine administration codes, the subject of this post. The new pediatric vaccine administration codes were developed to recognize the physician work of counseling patients about each component of combination vaccines. I provided details about these codes in a previous blog. I have heard from some practices that they have seen increased payment for the vaccine administrations from some payers. Unfortunately, other payers are not yet on board with the need to make provision of childhood vaccines an affordable endeavor. In the VFC program, the regional vaccine administration fee cap rates were established on a per-vaccine basis, not on a per-antigen or per-component basis. Under current interpretation of CMS policy, the administration fee for the VFC program will continue to be based on a per-vaccine basis and not on a per-antigen or per-component basis. CMS is looking closely at the VFC administration fee cap to ensure that it keeps up to date with changes in underlying costs of providing vaccines and with medical practice. CMS anticipates updating the fee cap in the near future, and is also examining the larger reimbursement structure of the VFC program. In the meantime, state Medicaid agencies can increase the amount they pay providers up to their regional cap by submitting a State Plan Amendment, as most states are currently paying providers rates that are below their state caps. In addition, a state could choose to establish different rates, up to their regional cap, for a vaccine with multiple antigens and those that are single components. VFC-enrolled providers may not charge a vaccine administration fee to VFC-entitled children that exceeds the regional administration fee cap per dose of vaccine. Providers are encouraged to use the new code 90460 for the administration of a vaccine under the VFC program. If code 90461 is used for a vaccine with multiple antigens or components, it should be given a $0 value for a child covered under the VFC program. This applies to both Medicaid-enrolled VFC-entitled children as well as non-Medicaid-enrolled VFC-entitled children (i.e., uninsured, underinsured, and American Indian or Alaska Native children not enrolled in Medicaid). Also, here's what you need to know about private payers' handling of these claims: Make sure that the person who reviews your payments watches for the number of units allowed by payers. Some are substantially limiting the payment for code 90461. For some this is a system error that is to be corrected, but not for all. One payer's policy blatantly states that it will pay for only one unit per date of service for the primary vaccine administration, 90460, and only 3 units for "additional injections" using code 90461. In other words, the payer is ignoring the per-component-oriented descriptors in CPT 2011. The payer goes on to say, "Maintaining the 'per administration/injection' definition from the 2010 immunization administration codes (90465/90466, 90471/90472) will allow a budget-neutral conversion. The 2011 allowances will reflect a 1% increase." Apparently this payer has never heard that HIPAA prohibits changing the code descriptors. I wonder if the payer's premiums and profits are "budget neutral." But I didn't write this to depress you. 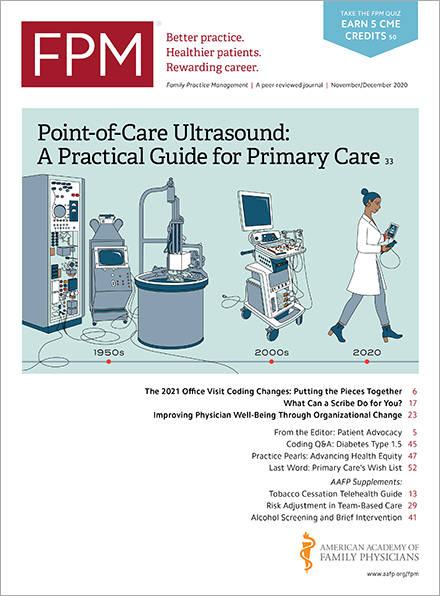 Be aware that the AAFP (and the American Academy of Pediatrics, which has invested extensive time and effort in acceptance and payment of the new codes) is advocating for fair and correct payment of these codes. And as mentioned previously, some payers did begin paying the codes as intended on Jan. 1. We will keep working on the rest.